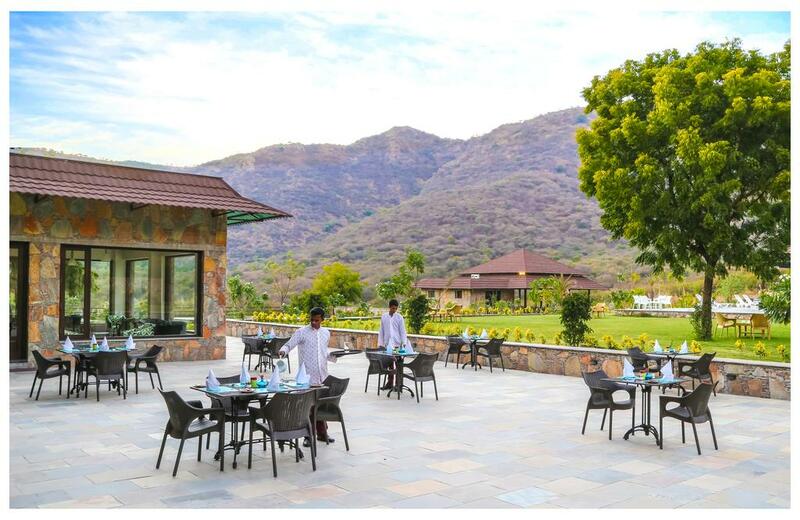 Udaipur has been home to the Aravalli hills for centuries and located in this most beautiful surrounding, nestled among the undulating forested hills, lies your perfect getaway – Vantara Resort by Tree Leaf. Our name takes inspiration from the Sanskrit translation – surrounded by forests. With just 16 Hideaway Rooms set on four acres of land, we offer you a getaway of unmatched beauty and solace between the airport and city. Built entirely in stone, the Resort reflects Rajasthan’s architectural style and design. Our location offers an immediate connect with nature and each Hideaway Room has abundant natural light and a beautiful view of the surrounding hills. Natural Jaisalmer stones has been used within and our rooms offer all the comforts that you are looking for. Breakfast Services, Parking, Swimming Pool, Business Facilities, Conference Hall, Arcade/Game Room, Internet/Wi-Fi, Airport Transportation, Safe Deposit Box-Front Desk, Restaurant. Cable/Satellite TV, Fax Machine Room, Child Care, Bottled Water in Room, Reading Lamps, Air Conditioning Room, Desk, House Keeping, Smoking Rooms, Television Room. Room Service, Restaurant, Parking, Laundry Facilities, Doctor on Call, Conference Hall, Business Facilities, Breakfast Services, Banquet Facilities, Bar. User reviews for "Vantara Resort And Spa Udaipur"